Last week, producer Adi Shankar released Power/Rangers, a fan film which put a dark and gritty spin on the colourful kids favorite. It's safe to say it became a viral hit, but Power Rangers rights holders Saban weren't too happy with it, getting the video pulled on copyright reasons. A deal was eventually struck, and the video made a return. It's clear Shankar doesn't really think about anything as trivial as 'rights issues' when putting together his Bootleg Universe (the collective name given to his numerous fan films, including The Punisher: Dirty Laundry, and Venom: Truth in Journalism), and he's at it again with his animated take on James Bond, In Service of Nothing. Considering Eon's protectiveness of the Bond rights, it will be interesting to see how this works out for Shankar. Power/Rangers got by on fans love of the short, we'll have to wait and see what the reaction to this is like. 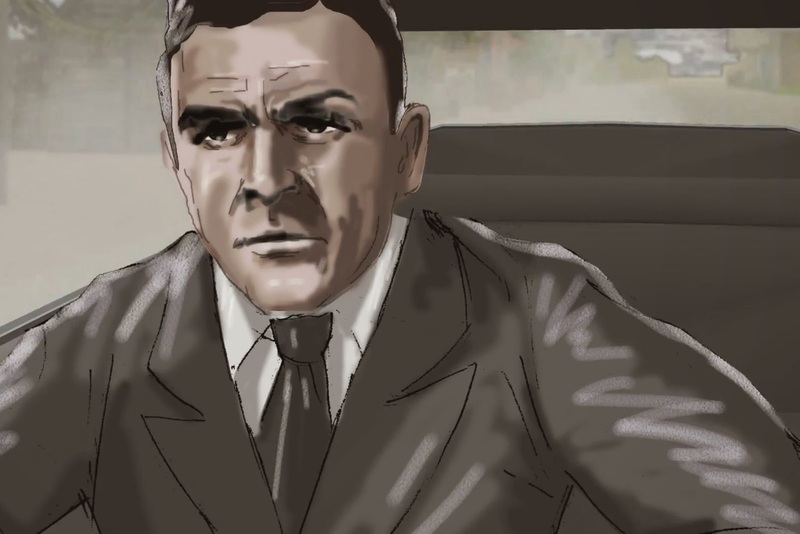 Taking the form of a pre-visualition story board, the short offers an intriguing take on the franchise, a huge step forward from the Daniel Craig's slightly darker take on the character from Casino Royale. Following an aged Bond (based on Sean Connery's original portrayal of the suave super spy) in the modern world, we find him saddled with a desk job, his license to kill taken away, and see what lengths he will got to capture the glory days again. As Shankar says, he's "an analogue watch in a digital world". As with Power/Rangers, Shankar has released a video detailing his reasoning behind the short. His views on where the franchise currently stands are not without merit, it has certainly changed from the old school days, and seeing Ian fleming's original vision of the character in the modern world is something worth seeing. Check it out below.